Rated 4.6 out of 5 stars based on 17 customer reviews. As a roofer in Rockville Maryland, Seneca Creek Home Improvement has set itself apart as the best roofing company. Customers know that they can count on this contractor to provide honest, trustworthy, on-time roof repair and new roof installation services. Their commitment to 100% customer satisfaction along with their determination to be OSHA compliant contractors has earned top rankings as an accredited Better Business Bureau business. Seneca Creek Home Improvement is a locally owned and operated Rockville Roofing company, which means they are concerned about their reputation and determined to have a roofing job done right the first time. All of their Rockville, MD roof installers are professional, experienced, certified roofers. They are GAF Master Elite Roofer, a Better Business Bureau Accredited Business and GAF Certified Weather Stopper Roofing Contractors. Seneca Creek Home Improvement offers an unwavering 100 percent satisfaction guarantee, and have the positive reviews and ratings to prove they are better than other Rockville roofing companies. Their Rockville roofing company's crew of roofing contractors are fully qualified, OSHA compliant and use up-to-date technology to complete any project they start. Seneca Creek Home Improvement works with insurance companies to create a fair estimate, temporary roof patch, and help their clients with roof repair and replacement after a disaster. We offer full service roof repair, replacement, or remodeling for shingle, tile, metal, and other types of roofing materials. Seneca Creek Home Improvement is one of a few roofing contractors that received the Angie's list super service award in 2014 due to the overwhelming amount of positive reviews by our roofing customers. They were able to do this because of the outstanding reputation they have with their customers. Seneca Creek Home Improvement has the distinction of being a GAF Master Elite Roofing Contractor. Customers have the peace of mind that comes from knowing that they are dealing with a builder who has a certification of excellence that less than 2% of roofing contractors obtain. As a Rockville roofing contractor that collaborates with suppliers and manufacturers throughout the country, Seneca Creek Home Improvement can supply their customers with high quality materials at competitive prices as well as provide them with manufacturer warranties. They are fully bonded, licensed and insured. Their customers are able to rest easy knowing that the work is done by professionals and in the rare event that something goes wrong with their roofs, the customer would suffer no property loss and have no liability. With years of construction experience, their contractors provide a range of services beyond roof replacement and repairs for residential homes and commercial buildings in Maryland. Ask us about our services for siding, gutter installation, and more. A roofing expert from Seneca Creek Home Improvement of Rockville MD would be happy to answer any question you have about windows, siding, doors or gutters. Gillian, needed to have some work done on her roof. She was reluctant to contact Seneca Creek Home Improvement because in the past she had dealt with roofers who were difficult to work with and left a big mess for her to clean up. 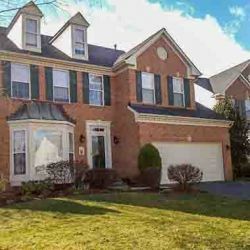 Working with Seneca Creek Home Improvement, the Rockville Roofing experts was a relief because the work was done quickly and a roofer cleaned the property when the job was done. Seneca Creek Home Improvement has worked with many clients who were having difficulty selling their home because of a roofing issue. In some instances, the clients have difficulty interacting with the insurance agency that has a responsibility to cover the damage. When issues like these arise, Seneca Creek Home Improvement steps in and contacts the insurance company. This allows clients to replace their roof at a minimal cost. Because the work is under warranty, everyone walks away the winner. Because of their ability to interact with insurance roofing companies, Seneca Creek Home Improvement is sought after by families and businesses that want guaranteed work that is done safely, quickly, and is covered by their insurance company. 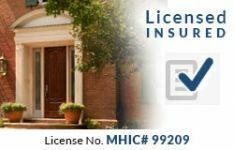 Insurance companies enjoy working with Seneca Creek Home Improvement because of their reputation for using high quality products, getting the job done right the first time, and charging a fair price for the work that is done. I would always trust the roofing contractors from Seneca Creek Home Improvement! Trustworthy, hardworking and dedicated to providing 100 percent satisfaction to their customers. Call us today to discuss your Rockville roofing needs! Gutter systems play an integral role in the long term condition of roofs. Skylights are an important part of a roofing project, and homeowners should consider their advantages and disadvantages. Modern asphalt shingles were invented in America and perfected over the course of the 20th century. An overview of the factors considered when gutters are chosen for homes. The process for rating a roofing material's impact resistance is straightforward and easy to understand. Initially a siding and roof job, but great work on repairing almost the entire front side of our townhouse when we found extensive damage. Glad to say we've had no problems since! Always nice to work with exceptional customers! Our new door looks great! Our new door and shutters were installed about a week ago. The quality of both the door and the workmanship is outstanding. You did a fantastic job selecting the door and colors - it really all comes together. Glad we could do our part - you have a great home Jacquie! Excellent Experience! Great Value! Recommend to anyone!! Seneca Creek did some roof repair and replaced all of the windows on our Germantown townhouse in November and December 2014. We were so impressed by the quick response, professional work and attention to customer service that Jeff and his team demonstrated. From the no-pressure estimate, to the friendly work crews (they left our place so clean! ); Seneca Creek is second-to-none. We will definitely be calling again when we are in the market for home improvement! Our professional team is fast to respond to customer needs. We look forward to working with you in the future! My wife and I recently contracted with Seneca Creek to install a new roof (including shingles AND decking), siding, gutters and shutters on our entire house. When we initially met with Jeff and Tim, we got the feeling that Seneca Creek prided themselves on providing high quality work. Once the roofing and siding crews began working, we could immediately tell that it wasn't just a sales pitch. Each crew acted extremely professionally, and every crew member truly cared about the work being done. Both crews worked efficiently and paid really close attention to all the details. They cleaned up every evening before they left our house, even though they would be back first thing in the morning to continue working. The finished product was awesome. The new roof, siding and gutters made our house look like a new house again, and the trim work was especially amazing. More importantly, I know that the roof and siding were installed properly, so not only do they look good, but they are rock solid too. Overall, Seneca Creek went beyond our expectations - I will definitely be calling them in the future if we ever move and need a new roof, siding, gutters or windows. I would be happy to recommend Seneca Creek to anyone! Thanks for choosing Seneca Creek for your new roof, siding and gutters. Thank you for recommending us too. I called several companies for quotes for roof replacement. It was my first time replacing my home roof. Jeff educated me in terms I could understand and the price was definitely right! Win Win! His staff was prompt, fast, courteous and got the job done. They even came out and repaired leaks prior to replacement. Thank you Seneca Creek! Happy that you were pleased with Seneca Creek Home Improvement's services and your roof replacement. SCHI is the BEST roofing company around. The owner was extremely knowledgeable about the product and accurate in determining exactly what was needed to get our roof replaced. He was also gracious and kind throughout the entire project. His workers were excellent. I highly recommend SCHI to everyone. We had originally gone with another roofing company and it was an absolute nightmare, so when we came across SCHI, we were thrilled to work with such honest and professional people. Thank you. Thank you for choosing Seneca Creek Home Improvement and recommending us for roofing. Jeff's team did an outstanding job! Efficient, clean and great quality roofing product. Clean up was good. So far so good. Will not hesitate to use Seneca Creek again for future services! Thank you for choosing Seneca Creek Home Improvement for your new roof. Tim was very professional, friendly and very helpful. Tim completed the job on schedule and exceeded our expectations for the second time. I will recommend him and Seneca Creek to my family and friends any time. Thanks for working with us again and for recommending us! Fast, efficient and a pretty good clean up job. Everything accomplished within 2 weeks in. Install was done in 7 hours. Tony, we work hard to make sure we complete each job efficiently and correctly. Glad you had that experience. We are pleased with all of the work that Seneca Creek completed in our home. Thank you. Thank you! Our professional team always strives to meet and exceed our customer’s expectations. The wife was most pleased! There was no hard sell. Options were laid out plainly for me to choose, regarding colors, products, and warranty choices. The job was done easily within the promised time, and there was no leftover items to clean up. Quite a professional looking product, and we anticipate decades of durable quality. Our team is dedicated to provide our customers with the highest quality of work at an exceptional value. We are also careful to maintain clean work areas during and upon completion of the project to ensure our customer’s safety. Quality work. Fair price. Our roof looks great! Tim was very professional and great to work with. The workers did a super job of cleaning up the work site. Highly recommend Seneca Creek. Your roof really does look great - excellent shingle selection! Thank you for the recommendations Wayne and Anita! Excellent Service. Job well done. Say what you do and do what you say are words to live by. Really like how the job turned out! Thanks for getting to the hole in my roof and the repair of the woodpecker damage. That was one fierce woodpecker! Glad we could help. Great price and great service . The entire process from cost estimate to implementation was great. The project manager ( Tim) is great. He explained the project and what is included and gave a very fair price. Thanks Ala - having great Project Managers and crews is an important part of our overall value. Glad Tim did a great job - it was nice working on this project. Working with Jeff and the Seneca Creek team has been a very positive experience. We were so pleased with our roof job that we decided to have them install new windows and a door. The company is prompt, professional, and they always leave the area neat and clean. Our team is dedicated to exceeding customer expectations.